A comedy of transformation, discovery and maturity set on the road between Austin and Los Angeles. When college-bound teenager Nat (Tony Revolori) offers itinerant 30-something mechanic Richard (Jason Mantzoukas) a ride during a stop-over in small-town Texas, neither one realizes the indelible impact each traveler will have on his respective journey. Nat, an aspiring photographer, is heading towards a bright future in art school in Los Angeles and wants to find the real America en route to new beginnings out West; Richard, a lovably unkempt motormouth, is simply looking for connection in the moment – and maybe a beer or ten – while he grapples with indecision, past mistakes and dead-ends. As they travel through the American Southwest, taking in picturesque towns and crossing paths with an assortment of old flames, fellow travelers, kooky cons, and Good Samaritans, both passengers come alive through the myriad possibilities of the open road. Finding connection, comfort and chaos in their shared journey, this improbable and unforgettable screen duo forges an epic bond few will forget. 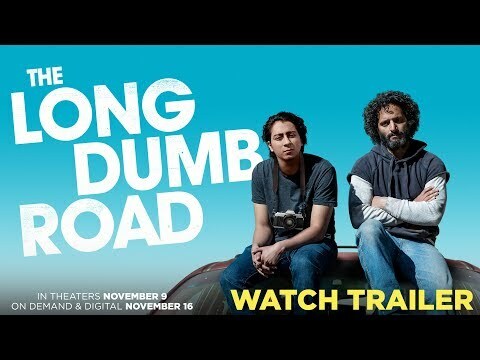 The Long Dumb Road was released on Cinema 166d ago in the US.